Naming a tank after a fish could seem strange, but given the appearance and characteristics of the model, it made sense. First off, the fast and sleek Myliobatoidei sting is lethal for its potential prey, but the wedgy look of both the turret and hull also contributes to this relation, which was essentially a commercial catch name. 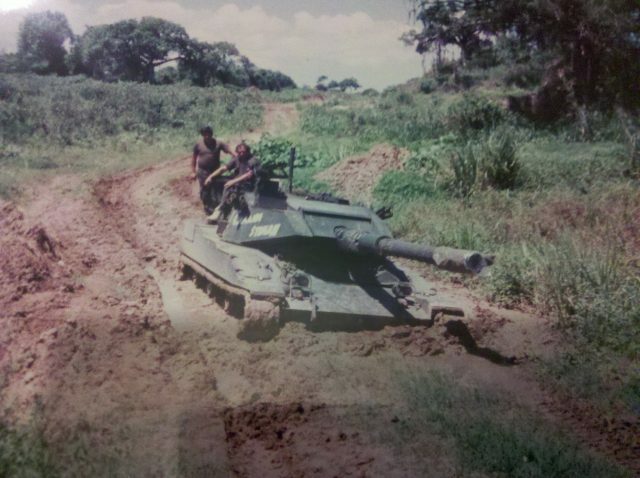 In relation to the family of air-transportable, fast light tank program like the HSTV/HIMAG (1978-82) it had the same light prismatic hull and light aluminum alloy hull. However, it reverted to torsion bar suspensions instead of hydropneumatic ones. 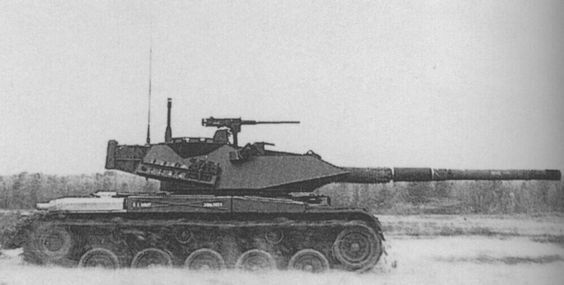 Developed as a private venture by Cadillac Gage, now the Textron Marine & Land Systems division, however it was not intended to compete for the future replacement to the M551 Sheridan (later developed as the much better protected M8 AGS Buford) but for the export market, perhaps after the success of the M41 Walker Bulldog. 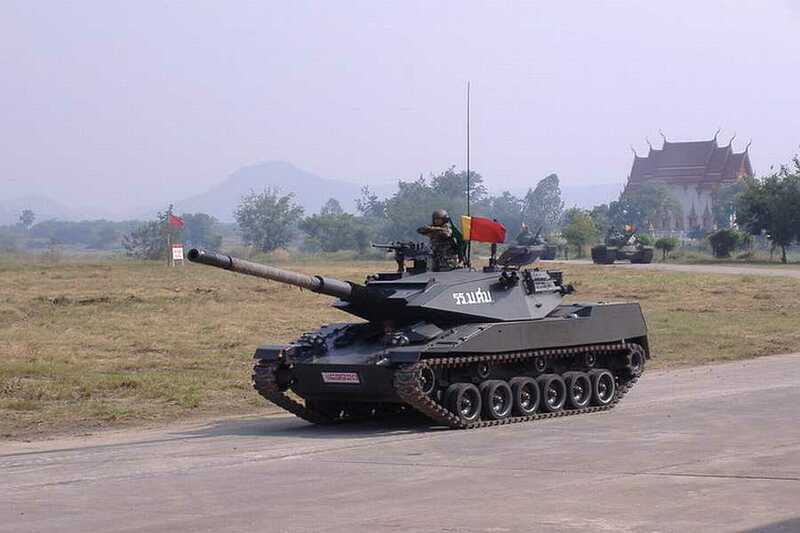 The Stingray, however, will not match the company’s expectations, as only a hundred was sold to the Royal Thai Army. 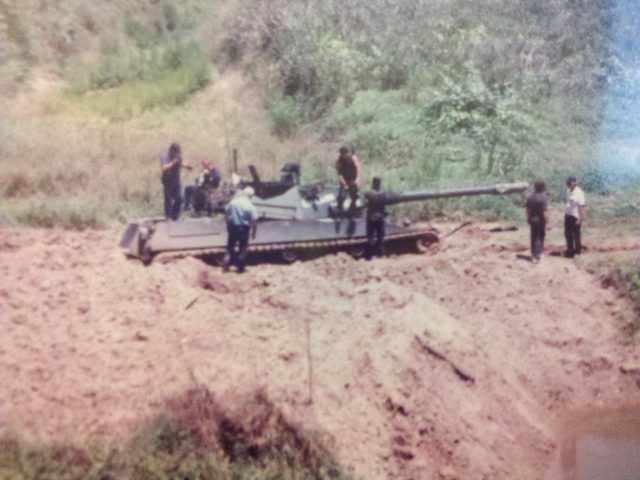 To make it competitive, this model was less technologically advanced than the HSTV but relied on as many existing components of other American armored fighting vehicles as possible to keep costs down. 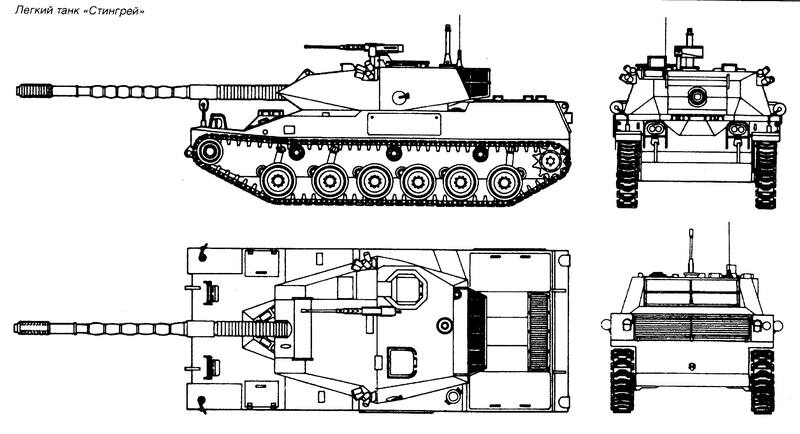 The emphasis was naturally given to mobility and armament, to the detriment of armour, in a classic light tank/cavalry pattern. 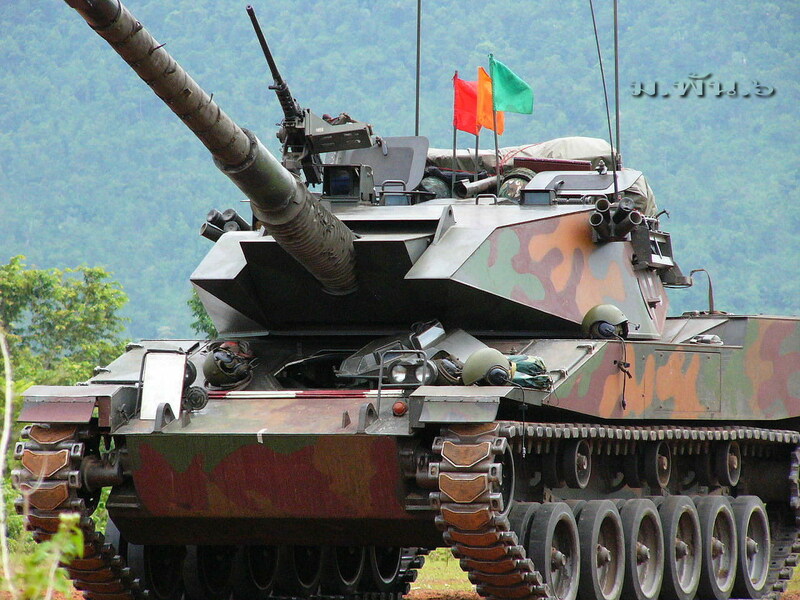 So it was able to match MBTs but relied on speed and its own maneuvering capabilities to evade or out-flank MBTs. Cadillac Gage studies were launched in 1983, and the first prototype was delivered in August 1984, but developments were resumed while it was offered for export and demonstrated. 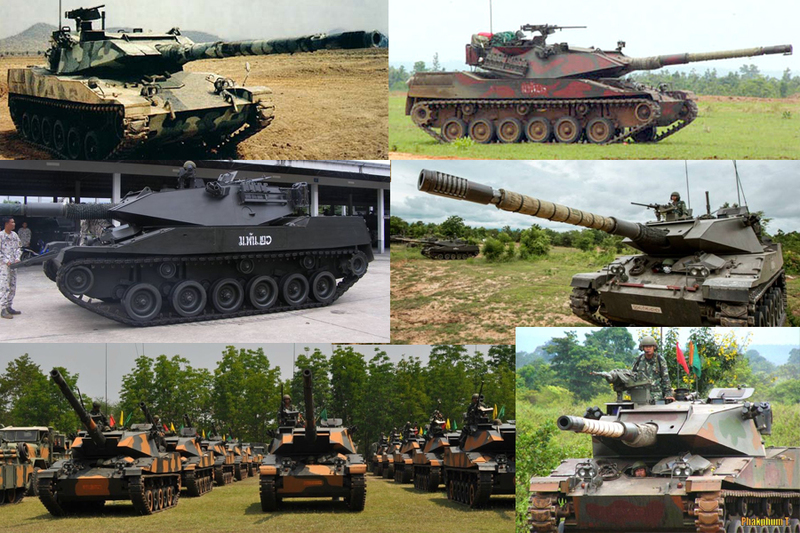 One particular was its turret which has exactly the same turret ring as the M551 Sheridan/M41 Walker Bulldog and was designed as an upgrade for these models. Main characteristics and recognition points are its well-sloped glacis plate (the driver’s hatch is located in the upper part), plus two slight steps to the raised engine compartment. Vertical walls and back plate, exhaust outlet in the upper part of it. The center turret has a characteristic pointed front and sides slope inwards. There is a turret basket at the rear. Two banks of height smoke grenade dischargers are located on either side of the turret for concealment. The three-men standalone turret is electro-hydraulically powered came with a manual backup. There are duplicate turret controls for the commander and gunner, and day/night sights. The gunner’s two-axis stabilized day/night thermal imaging system is provided by Hughes Electronics. Protection is only ensured about armor-piercing, 14.5mm HMG fire. However additional applique armor is also proposed. The low recoil force (LRF) version of the British Royal Ordnance L7 105 mm rifled gun was its main asset, sharing most of its ammunition with NATO stocks. It came with a two axis stabilization system, eight ready rounds, with 24 rounds stored in the hull. Reloading is manual. There is a coaxial standard NATO 7.62 light machine gun with 2400 rounds and an anti-aircraft machine gun mounted on right side of turret roof cal.50 (12.7 mm Browning M2HB) with 1,100 rounds in store. The initial powerplant was a standard-issue Detroit Diesel Allison 8V-92TA 535 hp (399 kW) engine, but the serial model(for the Thai Royal Army) was a liquid cooled turbocharged 2 stroke V-8 diesel engine which developed 550 hp (410 kW). Rare photo of the Bulldog Stingray prototype. Since then the model was entirely redesigned by Textron in the late 1990s as the Stingray II. This model was given an improved and modernized digital fire-control system and target-engagement system (hunter-killer, improved first hit cap. on the move, Raytheon HIRE day/thermal night sight, improved commander sight), NBC protection, GPS nav, laser warning system, exhaust smoke screen device, and superior mobility. 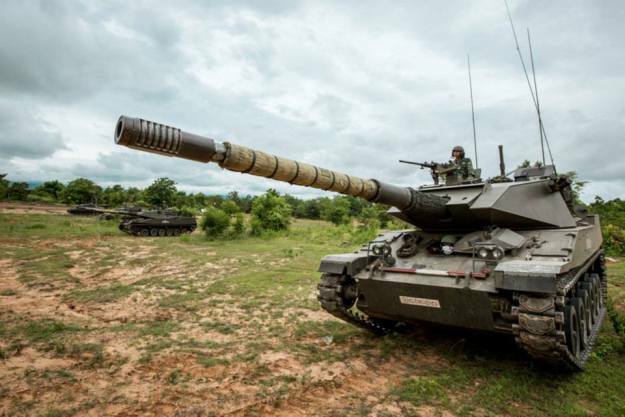 Its main armor was improved to resist AP 23 mm autocannon rounds but it also came with an enhanced applique armor kit which can be installed in a couple of hours and provide extra protection from RPGs and shaped-charge warheads. It was also tested and proposed with a LAV-105 turret. Heavier, its top speed was reduced to 66 kph. It has met no success on the export market yet. Thai Royal Army Stingray, camouflaged livery. The camo painting is temporary, only for the exercise time in some year. You can note that it looks like the acrylic paint for the building or sort of that easily removed and the pattern is just simplistic. The fire control computer ( or laser range finder ?) has been replaced with the more modern and accurate one in the recent years.